Your contacts in Paragon can be exported so other programs, like Outlook can import them. 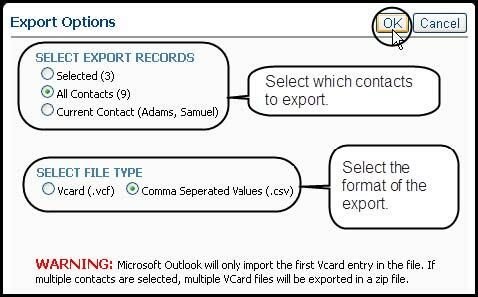 The export of Paragon contacts can be in the form of .csv (Comma Separated Value) or Vcard. 1. Click Contacts and View / Manage Contacts. Your current Paragon contacts are displayed. 4. The Export modal opens so you can select the number of contacts and file type of the export. Select File Type has two (2) choices. This Quick Start Guide will discuss each export type. Vcard export format: To export your Paragon contacts in Vcard Format (.vcf), select the Vcard and click OK. Note The following pages will display how each of these exports are handled based on the various browsers that function with Paragon. Locate the browser you use and follow that set of instructions. 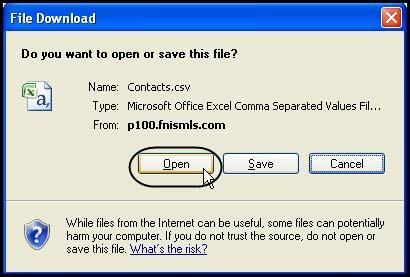 In the bottom left corner of your Paragon window you will see a zipped file. When you click on the arrow on the right side of the field, you will have three (3) options. Click Open to see the exported and zipped Vcards. 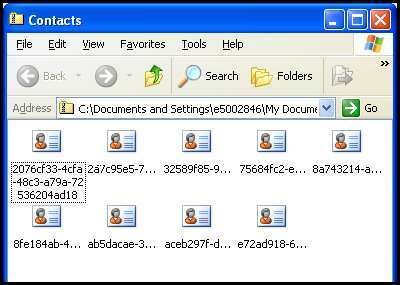 The exported Vcard file is in the Download File inside My Documents with the name of Contacts. Click File and Save to browse and save your exported zipped Vcard files. A dialogue box opens with two (2) choices. Click Open to view your exported and zipped Vcards. 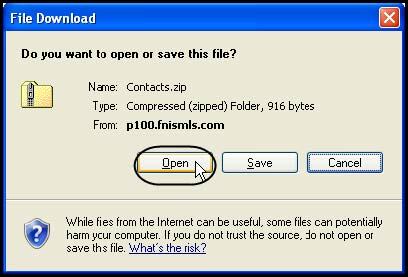 Click Save to browse and save your exported zipped Vcard files. Open with [Browser] – when you click Browse, a second dialog box opens. 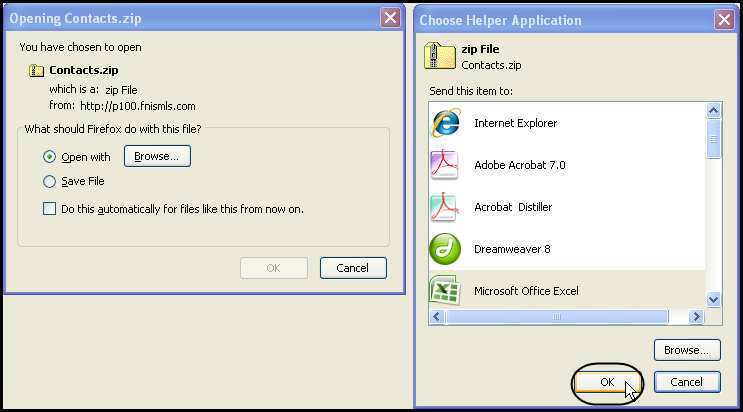 Choose the program you want to use to open your exported file and click OK. The second dialogue box closes. Click OK in the original dialogue box to view your exported Paragon Vcards. 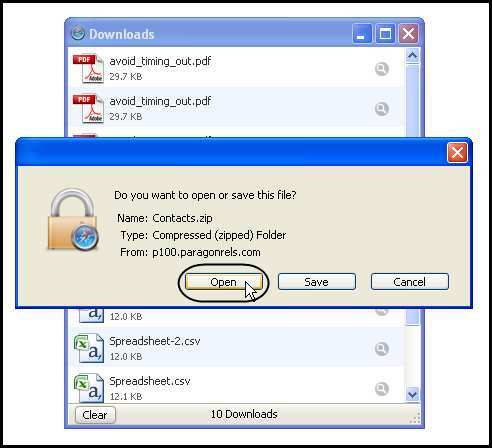 Save File – when you select Save File and click OK, you can browse to where you want to save your exported zipped Vcard file. Click Open to view your Vcards. 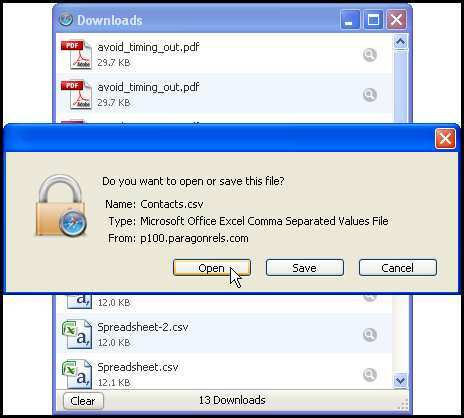 Click Save to save your exported zipped Vcard files to your C drive with the name Contacts. 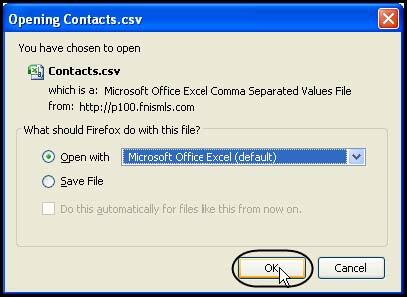 To export your Paragon contacts in CSV (.csv) format, select the Comma Separated Values (.csv) and click OK.
Click Open to see the exported contacts in a spreadsheet view. Inside the Excel spreadsheet, click File and Save to browse and save your contacts. Click Open to view your exported zipped .csv file. 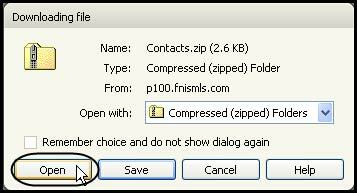 Click Save to browse and save your exported zipped .cvs files. Click Open to view your exported contacts in spreadsheet format. Click Save to save your exported .csv files in C:\Documents and Settings\ (some other path elements)\Local Settings\Temp. When the export is completed, a window momentarily appears in the lower right hand corner of the Paragon window. 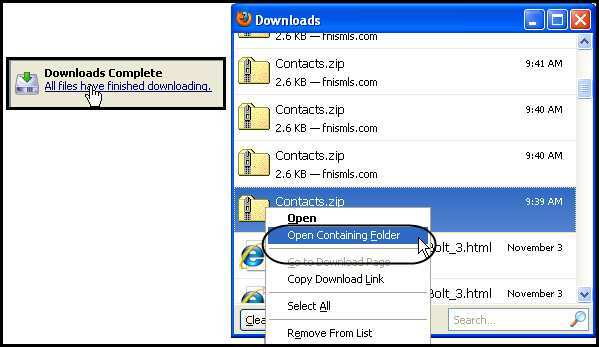 Click on this window, located the zipped file just exported and left click on that file. Click Open Containing Folder to view the location where this file has been saved. Click Open to view your .csv file. 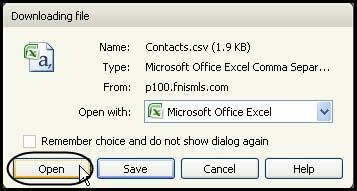 Click Save to save your exported.csv files your My Documents with the name Contacts. 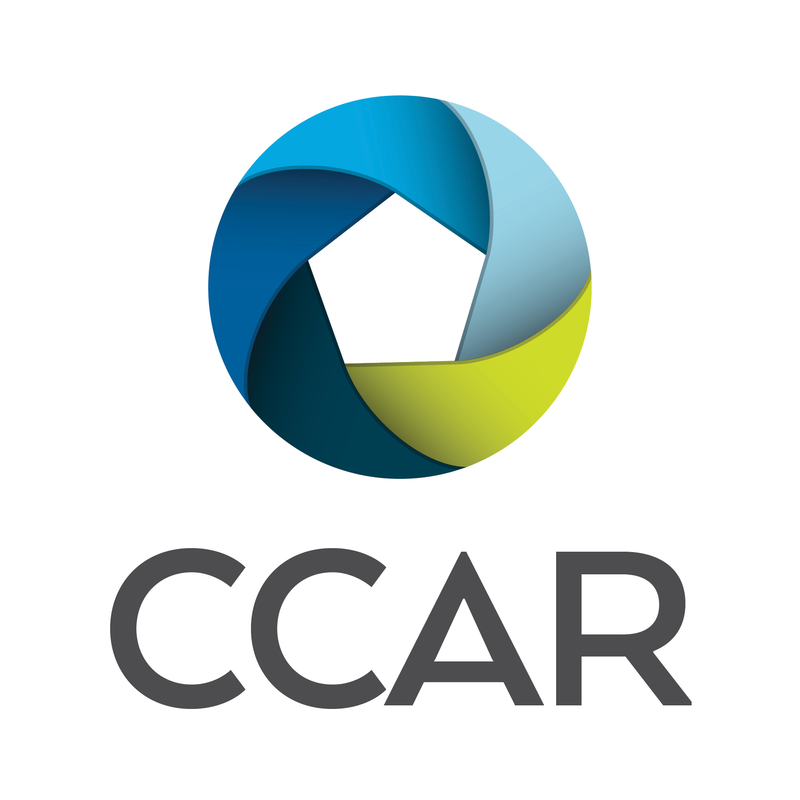 Clicking Open shows your .csv file information in a scrambled mode. It is not readable. Click Save to browse and save your exported .CSV files.